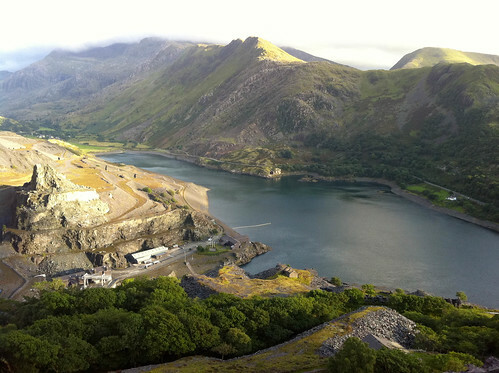 Yesterday, we went to visit some friends who live near Llanberis, at the foot of Snowden, in North Wales. 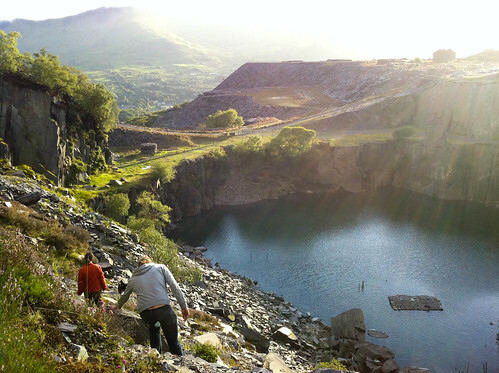 We went for a walk from Dinorwig up into the old slate quarry, high above the north side of Llyn Padarn, over from Snowden. The quarry shut in 1969 and is fenced off but often used by climbers. It’s slowly being reclaimed by both nature and the locals. 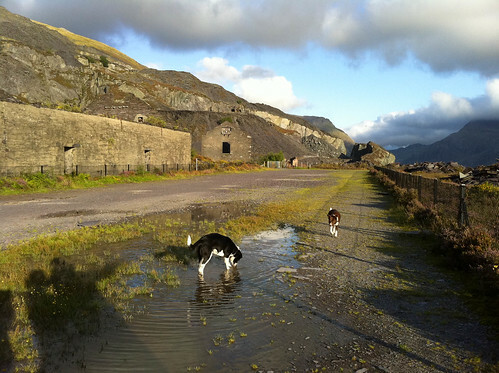 Rusting railway lines hang above crumbling rock, young trees are springing up on beds of slate, and old machine rooms have been stripped of movable iron. Deep inside the mountain is an 800m shaft, about 30m wide. During times of excess energy on the National Grid, water from the lake below is pumped up into the reservoir above the shaft. And when a surge of energy is needed on the grid, (say during a football match half-time), it’s released back into the lake, hurtling through the turbines and generating up to 1,320 MW from standstill in 12 seconds. You can’t get near this, but you can jump the fence, and scramble around the slate, into the surrounding caves left over from the quarrying. 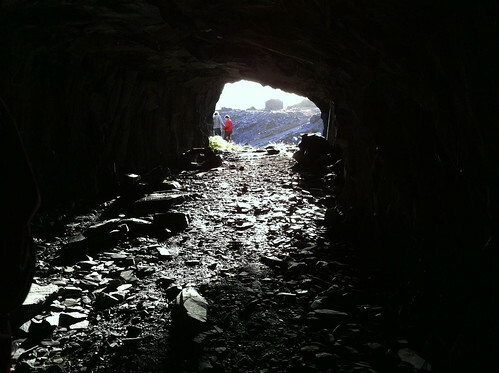 Once inside, the scratching and clinking of the slate gives way to the low hum of the mountain. It’s less like a noise with a source, and more like everything around is resonating somewhere in the range between hearing and feeling. It’s quite something.